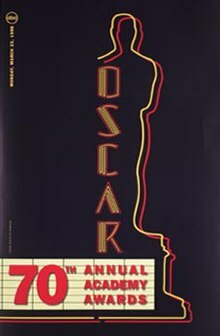 The 70th Academy Awards ceremony, organized by the Academy of Motion Picture Arts and Sciences (AMPAS), took place on March 23, 1998, at the Shrine Auditorium in Los Angeles beginning at 6:00 p.m. PST / 9:00 p.m. EST. During the show, AMPAS presented Academy Awards (commonly referred to as Oscars) in 24 categories honoring films released in 1997. The ceremony, which was televised in the United States by ABC, was produced by Gil Cates and directed by Louis J. Horvitz. Actor Billy Crystal hosted the show for the sixth time. He first presided over the 62nd ceremony held in 1990, and he had hosted the previous year's gala. Nearly a month earlier in an event held at the Regent Beverly Wilshire Hotel in Beverly Hills, California on February 28, the Academy Awards for Technical Achievement were presented by host Ashley Judd. Titanic won a record-tying eleven awards including Best Director for James Cameron and Best Picture. Other winners included As Good as It Gets, Good Will Hunting and L.A. Confidential with two awards, and The Full Monty, Geri's Game, Karakter, The Long Way Home, Visas and Virtue, Men in Black and A Story of Healing with one. The telecast garnered more than 57 million viewers in the United States, making it the most watched Oscars broadcast in history. The nominees for the 70th Academy Awards were announced on February 10, 1998, at the Samuel Goldwyn Theater in Beverly Hills, California, by Robert Rehme, president of the Academy, and actress Geena Davis. 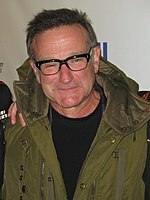 Titanic received the most nominations with a record-tying fourteen (1950's All About Eve, and later 2016's La La Land, also achieved this distinction); Good Will Hunting and L.A. Confidential came in second with nine apiece. Robert Duvall – The Apostle as Euliss "Sonny" Dewey, a.k.a. "The Apostle E.F."
Neve Campbell Presenter of the performances of Best Original Song nominees "Journey to the Past" and "Go the Distance"
Jerry Goldsmith Composer "Fanfare for Oscar"
Billy Crystal hosted the 70th Academy Awards. In December 1997, the Academy hired veteran Oscar telecast producer Gil Cates to oversee the 1998 ceremony. "Gil has become the consummate Oscar show producer, consistently garnering top television ratings for the telecast," said AMPAS President Robert Rehme in a press release announcing the selection. "His shows are full of wit, charm and surprise." A few days later, actor and comedian Billy Crystal was chosen to emcee the upcoming telecast. Cates explained his reason to bring back the veteran comedian saying, "Billy's performance last year was spectacular. There is nobody like him." 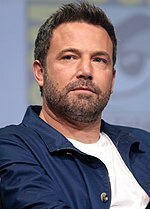 In an article published in USA Today he initially requested to Cates and AMPAS five months after the previous year's ceremony that he would like to take a break from hosting duties. However, pressure from the Academy, Cates, and several friends and family members made him reconsider his decision. His sixth stint would make him second only to Bob Hope in number of ceremonies hosted. To commemorate the seventieth anniversary of the Academy Awards, 70 actors who have received both competitive and honorary awards appeared seated onstage together during a segment called Oscar's Family Album. Each former winner was acknowledged by announcer Norman Rose with the films he or she won for. At the end of the segment newly minted winners Kim Bassinger, Helen Hunt, and Robin Williams joined them. This marked the largest gathering of former winners since the 50th ceremony held in 1978. Several others participated in the production of the ceremony. Bill Conti served as musical director for the telecast. Dancer Daniel Ezralow choreographed a dance number showcasing the nominees for Best Original Comedy or Musical Score. Bart the Bear made a surprise appearance during the presentation of the Best Sound Effects Editing award with Mike Myers. The show received a positive reception from most media publications. Television critic Howard Rosenberg of the Los Angeles Times lauded Crystal's performance writing that he "would earn top billing as that unusual comedian as artful at doing musical comedy as jokes." San Francisco Chronicle columnist John Carman raved,"It was the best Oscar show in two decades." He also gave high marks for the host, commenting, "But last night, Crystal was back in razor form." The Seattle Times television editor Kay McFadden praised Crystal commenting that "he possesses nearly impeccable timing and judgment." In addition, she noted that while the ceremony dragged on, "Last night was one of television's smartest live ceremonies in recent memory." Some media outlets were more critical of the show. Ray Richmond of Variety complained that the ceremony proved to be a "Yawner of an Oscarcast." He added that Crystal's "off-the-cuff one-liners sank faster than the great ship herself." Boston Globe television critic Matthew Gilbert bemoaned,"There was hardly a spontaneous moment during last night's Oscarcast." Film critic Carrie Rickey from The Philadelphia Inquirer lamented that the inevitable Titanic sweep "sank a telecast loaded with montages of previous years' Oscar highlights." The popularity of Titanic greatly increased television ratings for the ceremony. The American telecast on ABC drew in an average of 57.25 million people over its length, which was a 29% increase from the previous year's ceremony. An estimated 87.50 million total viewers watched all or part of the awards. The show also earned higher Nielsen ratings compared to the previous ceremony with 35.32% of households watching over a 55.77 share. In addition, it garnered a higher 18–49 demo rating with a 24.90 rating over a 44.30 share among viewers in that demographic. It was, and remains to date, the highest viewership for an Academy Award telecast since figures were compiled beginning with the 46th ceremony in 1974. In July 1998, the ceremony presentation received eight nominations at the 50th Primetime Emmys. Two months later, the ceremony won five of those nominations for Outstanding Individual Performance in a Variety or Music Program (Billy Crystal), Outstanding Directing for a Variety or Music Program (Louis J Horvitz), Outstanding Lighting Direction (Electronic) for a Drama Series, Variety Series, Miniseries, or Movie (Bob Barnhart, Robert Dickinson, Matt Ford, Andy O'Reilly), Outstanding Music Direction (Bill Conti), and Outstanding Sound Mixing for a Variety Series or Special (Patrick Baltzell, Robert Douglass, Edward J. Greene, Tommy Vicari). The annual In Memoriam tribute was presented by actress Whoopi Goldberg. The montage featured an excerpt of "Appassionata" from The Passage composed by Michael J. Lewis. ^ Snow, Shauna (December 12, 1997). "Arts and entertainment reports from The Times, national and international news services and the nation's press". Los Angeles Times. Tribune Publishing. Archived from the original on February 22, 2014. Retrieved January 26, 2014. ^ "Horvitz to helm Academy broadcast". Variety. Penske Media Corporation. January 8, 1998. Archived from the original on November 7, 2013. Retrieved November 1, 2013. ^ "Crystal set for sixth Oscar stint". Variety. Penske Media Corporation. December 21, 1997. Archived from the original on February 23, 2014. Retrieved January 22, 2014. ^ Crowe, Jerry (December 20, 1997). "Arts and entertainment reports from The Times, national and international news services and the nation's press". Los Angeles Times. Tribune Publishing. Archived from the original on November 6, 2013. Retrieved November 1, 2013. 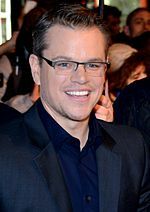 ^ "Judd named presenter at 70th Oscars". Variety. Penske Media Corporation. February 20, 1998. Archived from the original on February 26, 2014. Retrieved January 24, 2014. ^ Harden, Mark (March 24, 1998). "Epic film sails away with Oscar boatload". The Denver Post. MediaNews Group. p. A-01. ^ Weinraub, Bernard (March 24, 1998). "'Titanic' Ties Record With 11 Oscars, Including Best Picture". The New York Times. The New York Times Company. Archived from the original on December 26, 2013. Retrieved January 25, 2014. ^ Scanton, Julian (January 27, 2010). "Could Avatar Boost Oscar Ratings to Record Heights?". Vanity Fair. Condé Nast. Archived from the original on March 12, 2014. Retrieved March 12, 2014. ^ "'Titanic' cruises into Oscars lead". CNN. Time Warner. February 10, 1998. Archived from the original on November 3, 2013. Retrieved November 1, 2013. ^ "`Titanic' lands 14 Oscar nominations; ties 1950 record". San Diego Union-Tribune. Tribune Publishing. February 11, 1998. p. A-3. ^ Goldsten, Patrick (March 24, 1998). "'Titanic' Snags 11, Ties for Record". Los Angeles Times. Archived from the original on December 5, 2013. Retrieved January 25, 2014. ^ Guthmann, Edward (March 24, 1998). "'Titanic' Rides an Oscar Tidal Wave / But Hunt and Nicholson take the top acting awards". San Francisco Chronicle. Hearst Corporation. Archived from the original on November 3, 2013. Retrieved November 1, 2013. ^ Dirks, Tim. "1997 Academy Awards Winners and History". Filmsite. AMC Networks. Archived from the original on October 4, 2013. Retrieved November 1, 2013. ^ Glaister, Dan (March 25, 1998). "Titanic sinks British Oscar hopes". The Guardian. Guardian Media Group. p. 5. ^ Germain, David (September 27, 2010). "Gloria Stuart, 'Titanic' co-star, dies at 100". The Seattle Times. The Seattle Times Company. Archived from the original on November 5, 2013. Retrieved November 1, 2013. ^ "The 70th Academy Awards (1998) Nominees and Winners". Academy of Motion Picture Arts and Sciences. AMPAS. Archived from the original on November 9, 2014. Retrieved November 19, 2011. ^ Anderson, John (March 25, 1998). "Stanley Donen: Just Dancin' and Singin' of His Reign". Los Angeles Times. Tribune Publishing. Archived from the original on November 6, 2013. Retrieved November 1, 2013. ^ "List of Presenters". Variety. Penske Media Corporation. March 20, 1998. Archived from the original on January 16, 2014. Retrieved January 13, 2014. ^ a b Hindes, Andrew (December 11, 1997). "And Cates makes eight". Variety. Penske Media Corporation. Archived from the original on April 4, 2015. Retrieved January 23, 2014. 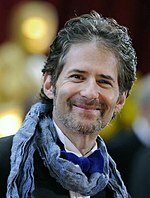 ^ "Conti named musical director of 70th Academy Awards". Variety. Penske Media Corporation. January 14, 2014. Archived from the original on February 26, 2014. Retrieved January 24, 2014. ^ a b c "1997 Academy Award Nominations and Winner for Best Picture". Box Office Mojo. Archived from the original on November 3, 2013. Retrieved November 2, 2013. ^ a b "1997 Domestic Grosses". Box Office Mojo. Archived from the original on November 3, 2013. Retrieved June 5, 2013. ^ Rosenberg, Howard (March 24, 1998). "Crystal Persuasion". Los Angeles Times. Tribune Publishing. Archived from the original on February 21, 2014. Retrieved January 23, 2014. ^ Carman, John (March 24, 1998). "Oscar Polishes Up His Image / Crystal clearly a winner for best show in decades". San Francisco Chronicle. Hearst Corporation. Archived from the original on February 2, 2014. Retrieved January 23, 2014. ^ McFadden, Kay (March 24, 1998). "Ceremony Shapes Up As A Night To Remember". The Seattle Times. The Seattle Times Company. Archived from the original on February 1, 2014. Retrieved January 23, 2014. ^ Richmond, Ray (March 23, 1998). "Review: 'The 70th Annual Academy Awards'". Variety. Penske Media Corporation. Archived from the original on February 25, 2014. Retrieved January 23, 2014. ^ Rickey, Carey (March 24, 1998). "'Titanic' Ties Record With 11 Oscars; 'Good As It Gets' Takes Acting Honors". The Philadelphia Inquirer. Philadelphia Media Network. p. A1. ^ a b Keegan, Rebecca (2019-02-20). "The Politics of Oscar: Inside the Academy's Long, Hard Road to a Hostless Show". The Hollywood Reporter. Retrieved 2019-02-25. ^ Crupi, Anthony (February 6, 2013). "ABC Strikes Gold With the Oscars". Adweek. Prometheus Global Media. Archived from the original on November 3, 2013. Retrieved November 1, 2013. ^ a b "Academy Awards ratings" (PDF). Television Bureau of Advertising. Archived (PDF) from the original on August 8, 2016. Retrieved June 27, 2013. ^ "Primetime Emmy Award database". Academy of Television Arts and Sciences. ATAS. Archived from the original on October 1, 2012. Retrieved November 1, 2013. ^ "The Emmy Winners Announced on Saturday". Los Angeles Times. Tribune Publishing. August 31, 1998. Archived from the original on November 6, 2013. Retrieved November 1, 2013. ^ "1998 Emmy Winners". The New York Times. The New York Times Company. September 15, 1998. Archived from the original on November 14, 2013. Retrieved November 2, 2013.